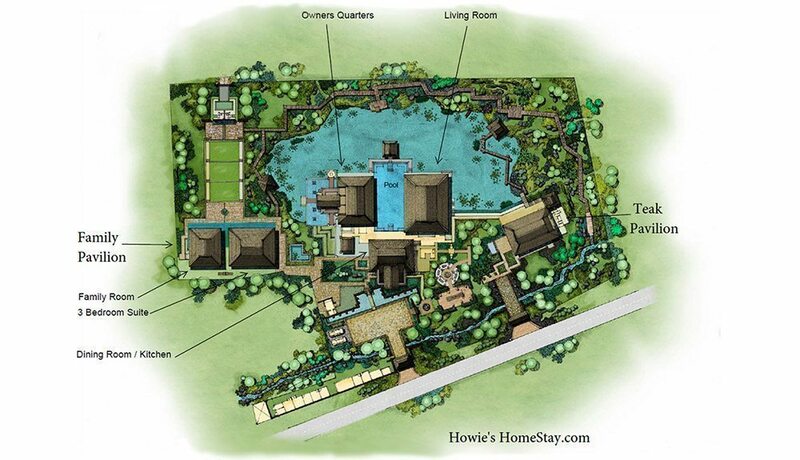 If you are searching for ‘hotel Chiang Mai’ you will find many 5 star hotels but nothing as unique as Howie’s HomeStay. In fact the rooms are striking independent pavilions tucked away among five acres of verdant tropical gardens, rippling streams and water gardens. A river meanders through, gently reminding us of the slower pace of life here in rural Northern Thailand. This is a hotel in Chiang Mai like no other. 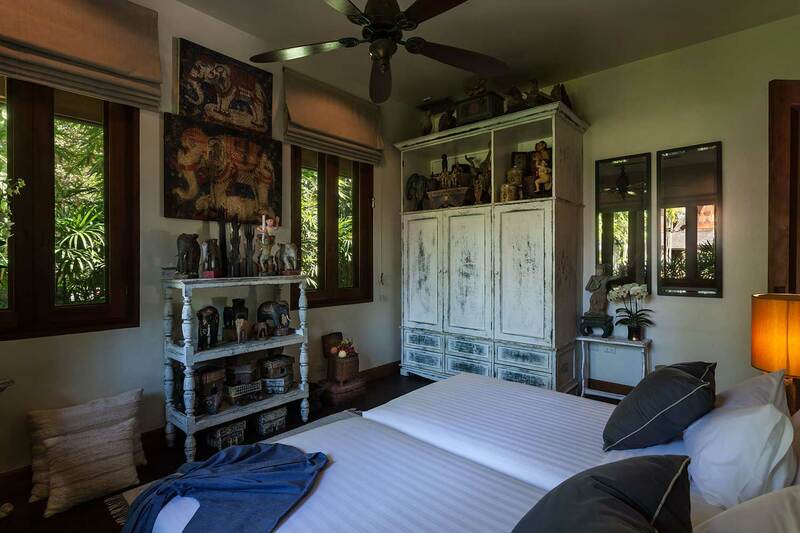 Your private sanctuary designed around the breathtaking views of the lush Mae Rim Valley. There are green forests and cerulean skies everywhere you look. 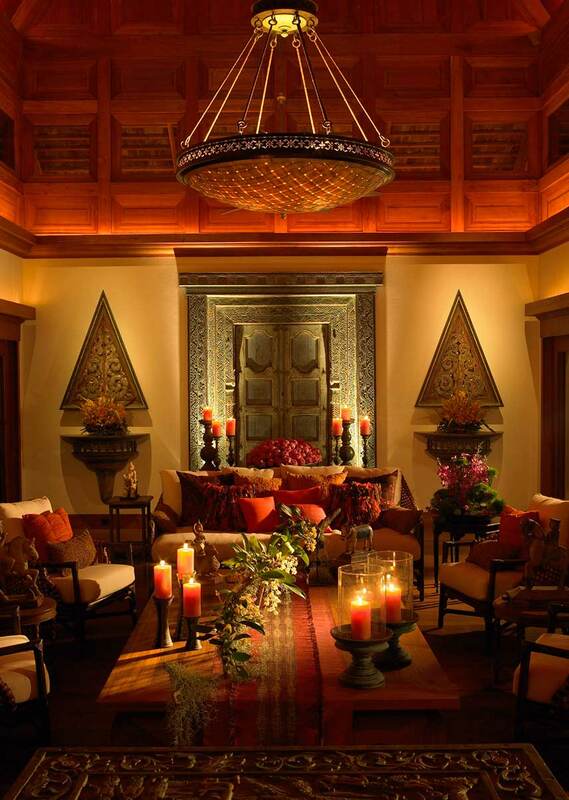 Inside the residence, Lanna Thai traditions pervade every hand-crafted detail. 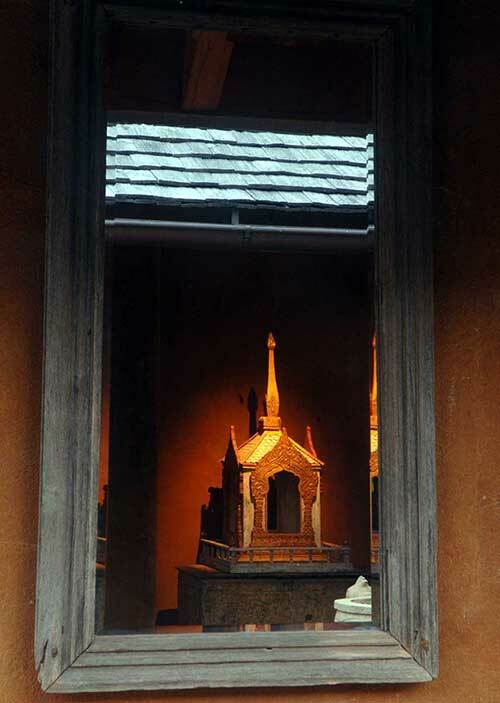 Hand crafted teak furniture and museum quality Asian antiques adorn every room. The Golden teak floors are amazing and all recycled from old houses. We looked at every detail to ensure 5 star luxury hotel rooms. The beds are hand made and the mattresses and coverings of the finest quality. Naturally we service the rooms daily and indeed during the day. A fully stocked mini bar comes included in the price. The main room is the Teak Pavilion. The Teak Pavilion is an air conditioned Lanna Thai style pavilion. It contains an incredible hotel room of 750 interior sq. ft. There are sliding glass doors on 3 sides of the suite and 1,200 sq. ft of covered terrace. The sliding glass doors open to reveal a panoramic view of the tropical gardens, a free flowing stream and spectacular mountain vistas. The villa’s king size bed shares the space with a large sitting area. Our guests often nestle in the sumptuous down day-bed while simply daydreaming or in the grasp of a good book. Additional amenities in this luxury Chiang Mai hotel room include a well defined work area featuring complimentary wired and wireless high-speed Internet access. We service a fully stocked mini bar and there is a motorized TV lift that raises a hidden LED TV to viewing position. The private bathroom is enclosed by glass walls that place you in the middle of nature’s abundant landscape. You are completely and discretely surrounded by a walled-in area for your privacy. The luxurious rain shower is complemented by wall, hand and body showers. In addition, there is an outdoor shower and a large open air mosaic tiled whirlpool hidden in the garden within its own gazebo and dramatic views of the mountains. 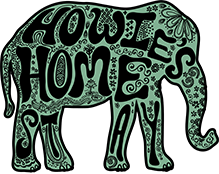 This facility is perfect for your family members, children or friends. The 2169 sq. ft. Family Suite has 3 air conditioned bedrooms. The Master Suite has a beautiful Burmese king size antique bed with an en suite bath. Bedroom number 2 also has a beautiful teak king size bed, while bedroom No. 3 has twin beds. Both rooms have private bathrooms. This is unlike anything else you will find in other Chiang Mai hotels. The Family Suite structure sits at the top of a slight grassy slope overlooking a beautiful terraced garden area. 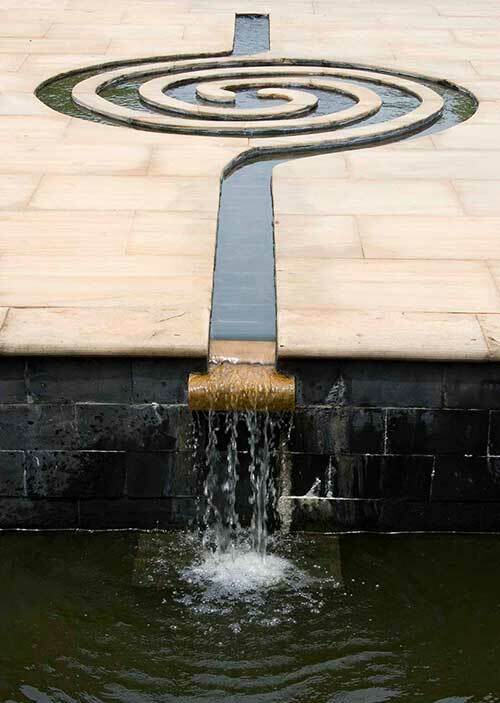 Connected by an outside footbridge, over a pond filled with Japanese Koi, is the large 1550 sq. ft. family dining/kitchen area. Floor to ceiling glass window walls surround this functional and relaxing space allowing restful views of the gardens and mountains. You can end your search here for the most unique of Chiang Mai, Thailand hotels. It just doesn’t get any better than this!